Just the other day I received an email form Allcrochetpatterns.net describing their Granny Square Design Contest (find details here). I like granny squares. 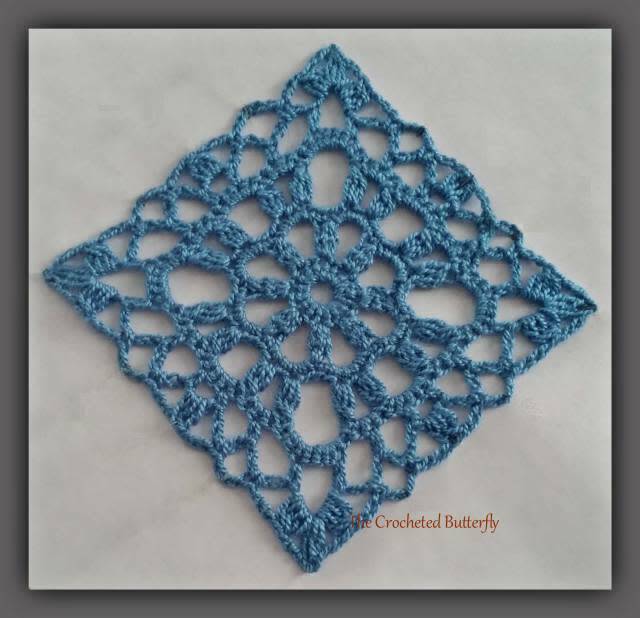 I have many granny square designs saved on my computer; I enjoy seeing posts with new designs; I even designed a square once (see below). However, I have never made anything with granny squares – but I was interested to find the history behind them. I found an article from Etsy Yarn-A-Holics’ Confessions of a Yarn-A-Holic blog about the origin of the granny square (here): “According to a 1946 article attributed to the Oregon Worsted Company, the thrifty women of early America would carefully save scraps of yarn and fiber unraveled from old sweaters and socks. As these scraps accumulated, they were crocheted into small squares…sewn together to make a blanket which was both functional and colorful. Because grandma was no longer up for manual labor, she was often the one to sew the squares together, thus they became GRANNY SQUARES.” Makes sense! 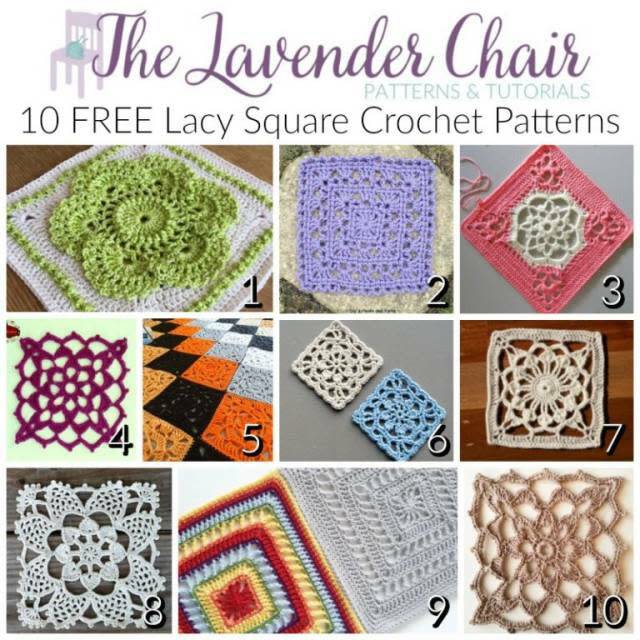 Since the design contest sparked my interest, I took a little trip around the internet and found a wonderful post from Dorianna Rivelli of The Lavender Chair showing lacy crochet squares here. If you are not familiar with The Lavender Chair, please take a moment and visit the site – you will be delighted at Dorianna’s wonderful designs! These are all sooo pretty! But then again, I do have a major soft spot for all things lace. I don’t know if I’m going to design an entry for this contest because I currently have so many other things buzzing around in my head, but I certainly wish good luck to any crocheters out there that are willing to take the leap!